Maintaining that perfect smile doesn’t come cheap. In fact, dental consultations, appliances and procedures are often more expensive than mainstream medical treatments. Parents and individuals who have not planned for dental expenses like those associated with braces, cavities, crowns and bridges will have to dig deep into their own pockets, or face the long-term consequences of poor oral and dental care. Top-ranked open medical aid schemes in South Africa do cover the costs of dentistry, either partially or in full. The level of cover is directly determined by the value of your monthly contribution, and is based on whether the consultation, treatment or procedure is conducted in hospital, in a day clinic or in a dentist's rooms. Medical aid schemes usually pay for procedures conducted in hospital up to a specified limit, and at a defined percentage of the scheme rate- if covered on the plan type. The more you pay in premiums each month, the higher the annual limit per beneficiary, and the more likely it is the scheme will pay 200%, or even 300% or top options. Members who subscribe to more affordable medical aid plans may need to pay the hospital, or clinic, a deductible upfront. Thereafter, any additional expenses are paid by the scheme from the hospital benefit if it is not an exclusion. In addition, the medical aid plan you choose determines whether you can go to any private hospital or clinic, a network linked option with negotiated tariffs or a state facility only. 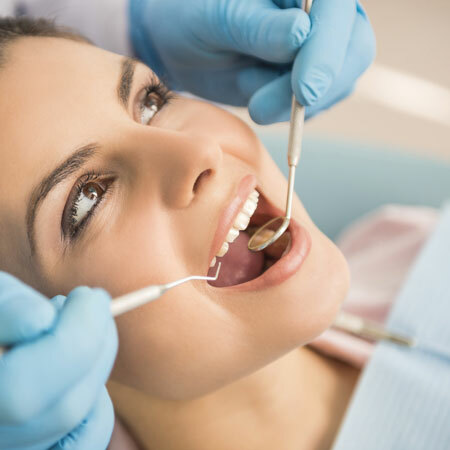 Annual check-ups and routine procedures such as root canal treatment, filling cavities and fitting crowns and braces are usually conducted in a dentist's rooms. Medical aid schemes may cover these day-to-day costs from a member's Medical Savings Account (MSA), Above Threshold Benefit (ATB) or day to day dental cover, depending on the member's plan and level of cover. As with in-hospital dental cover, day-to-day benefits are generally covered up to a certain limit per beneficiary per year, while consultations are paid at a percentage of the scheme rate. Mid to high-level medical aid plans often pay for orthodontic treatment and dental appliances, and their fitment, up to a certain limit per beneficiary per year from available day-to-day benefits ( subject to pre-authorisation in most cases). Most South African medical aid schemes cover the cost of orthodontists, maxillofacial surgeons, periodontists and other dental specialists in full, provided the scheme has a negotiated tariff agreement in place and if it is not an exclusion. If you choose to use a non-network dental specialist, you may have to pay the difference between what the provider charges and what the scheme pays. Some South African medical aid schemes offer dentistry on their options as a separate benefit. Bonitas, for example, has a standalone dental benefit structure admisnistered by DENIS on most of their plans.Benefits are paid at the Bonitas dental tariff. Pre-authorisation is required for certain specialised dentistry procedures, and benefits are subject to managed care protocols. The available cover does differ from plan to plan and is based on members' monthly contributions. On some plans, co-payments are levied for specialised dentistry and there is no cover at all for certain procedures. The best way to find dental cover that is affordable and appropriate for your needs is to chat to an independent financial medical aid broker, like one of our consultants at IFC. We have access to the latest information about leading South African medical aids and can provide objective assessments of which plans and options best suit you.